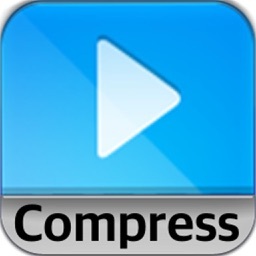 Compress photos and reduce their size as per your choice. 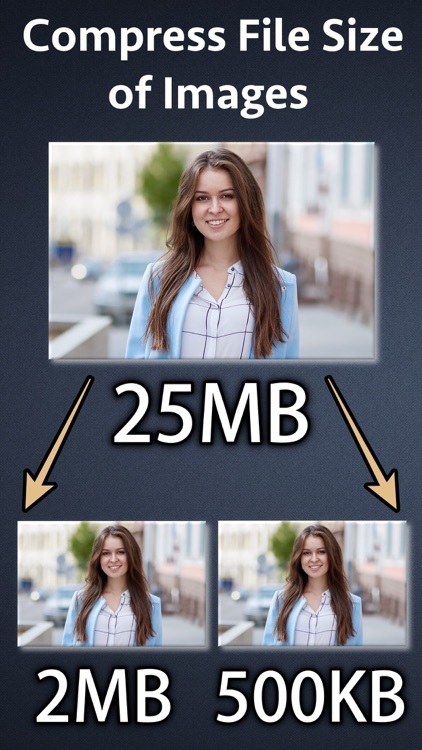 For example : If your photo has size of 25 MB and you want to reduce its size to 2 mb.You could do this using the application.The application will reduce the photos to the size that suits your requirements. 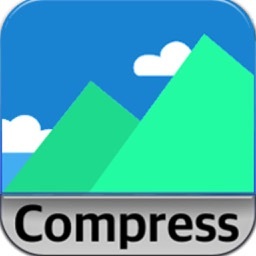 Using the application you could also compress multiple photos at once. 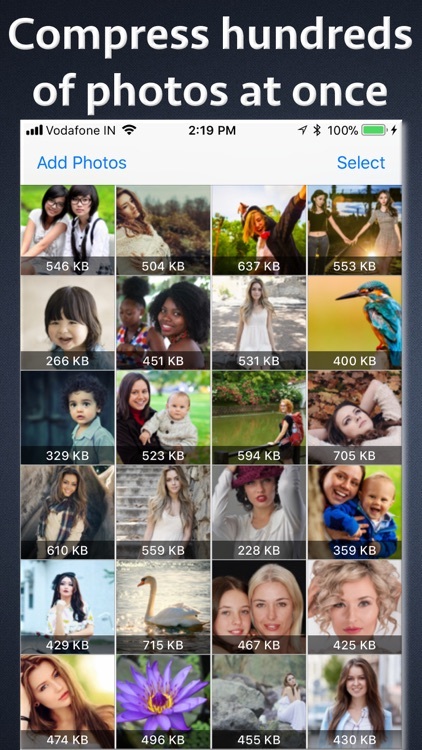 The compressed photos will have good quality and these will also save the Mobile data of your data plan when you share them using WhatsApp or any other social media platforms. 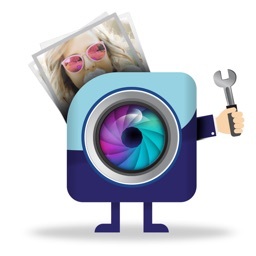 When the compressed photos are saved to the Gallery you could remove the older photos.This will help in saving the storage space on the phone as well.Compressed photos also get processed quickly and uploaded or shared in lesser time due to their small size.This will save your time and allow you to be more productive. It supports both PNG and JPG images.Various compression algorithms are used by the application to achieve optimal compression. a) Compressed photos use lesser data on Phone.This saves the Mobile data of your data plan when you send these photos or share them over social media or messaging platforms like WhatsApp. 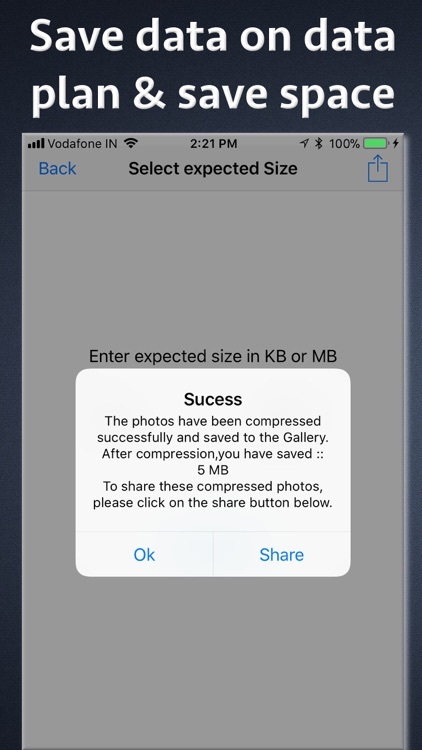 b) Many time multiple photos could not be sent over email because they exceed the maximum size allowed for an email.In such circumstances, this app can reduce their size while maintaining the quality. 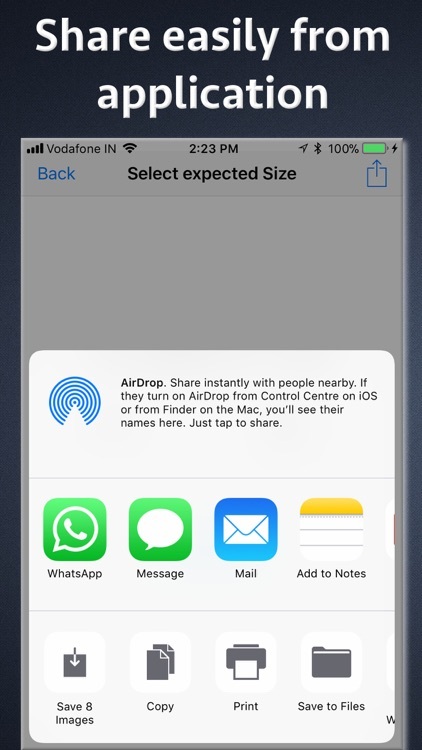 This will allow to send more images in an email. 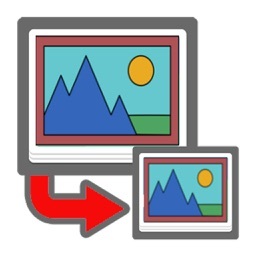 c) Many websites have size restrictions on the Photo Sizes that are uploaded. 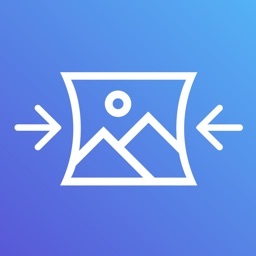 For example : while uploading the profile pictures, the websites limit the size of photos that could be uploaded.The application could be useful in such scenarios to reduce the size of the image. d) Storing more images on a USB storage or phone. e) Saving disk space and cloud storage space. 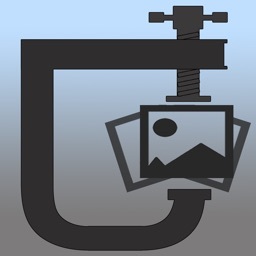 -- Add multiple photos selectively and compress all photos. -- Original files are not altered.Compressed images are stored in Gallery as separate photos. 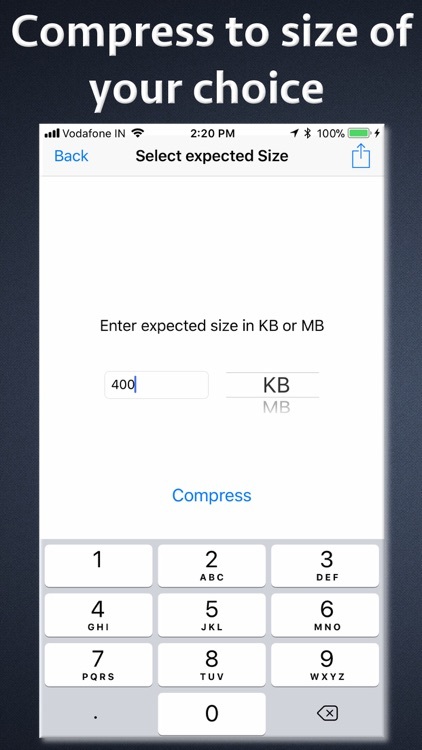 -- The application supports defining an exact size to be achieved using compression.Using this feature, one could specify that what is the exact size he is expecting from the photos after compression. -- Easy to use user interface.